This post is sponsored by Oliën Body. As always, all content and opinions are entirely my own. In order to facilitate this Oliën Body sugar scrub review, I tested the Vanilla Mint Body Scrub for several weeks. There are hundreds of body scrubs on the market today. Finding a scrub that’s natural, effective, and invigorating can be a little bit of a challenge. Some scrubs are full of artificial ingredients, while others are too coarse. 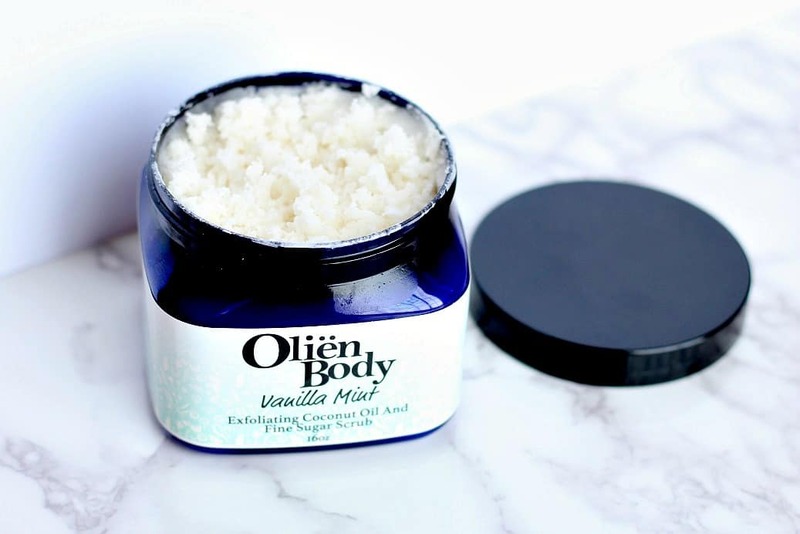 Oliën Body has created what might just be the perfect body scrub! Oliën Body is a skin care company based out of Colorado in the United States. The body scrubs were developed as a means to relieve dry skin naturally and keep it silky smooth all day, everyday. Oliën’s products are free of artificial ingredients and contain essential oils to rejuvenate and invigorate! The scrubs not only exfoliate, but they also moisturize and can be used daily. 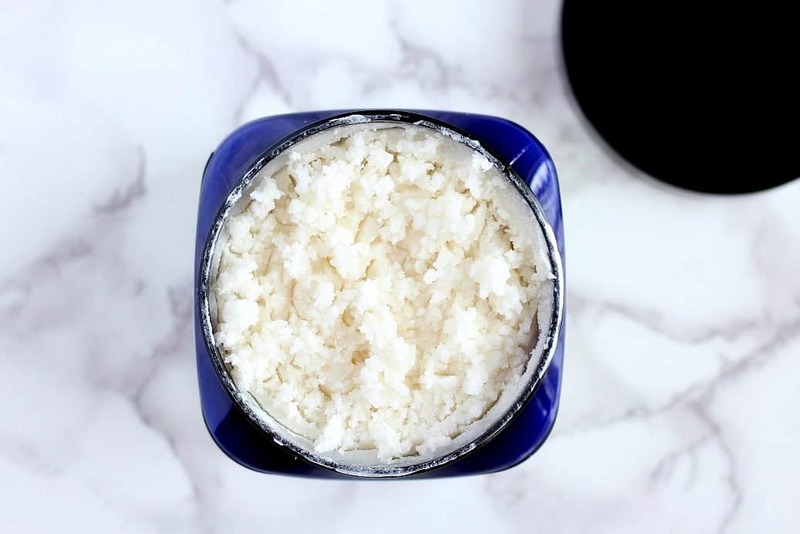 The main ingredients in all of Oliën Body’s scrubs are organic coconut oil, fine sugar, and essential oils. 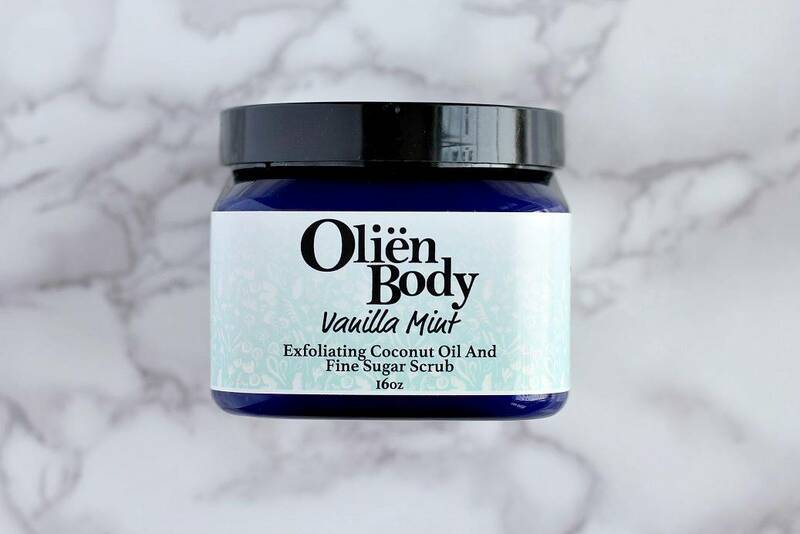 The first time I used Oliën Body’s Vanilla Mint Sugar Scrub, I immediately noticed how amazing it smells! Coconut and vanilla scents always remind me of summer and the beach, which makes me instantly happy! The mint makes it even more uplifting. It’s a great scent to wake you up and help you feel ready for the day! The scrub contains really fine grains of sugar. I find that the finer the scrub, the less irritating it is. I have used this product almost every day since receiving it and have not had any issues or adverse effects. I appreciate the use of sugar rather than plastic beads or other exfoliating ingredients that can be too coarse. This sugar is blended with coconut oil which is an amazing natural moisturizer. I use this scrub as the final step of my showering routine. When I step out of the shower, I don’t even need to use lotion because the coconut oil leaves my skin super smooth and hydrated. I honestly love this product! The Vanilla Mint Sugar Scrub I tested has the most amazing scent and is highly effective as an exfoliant and as a moisturizer. If you are looking for a scrub that’s natural and effective I definitely recommend trying an Oliën Body sugar scrub. You can read more about Oliën Body and see the other scents available on their website. 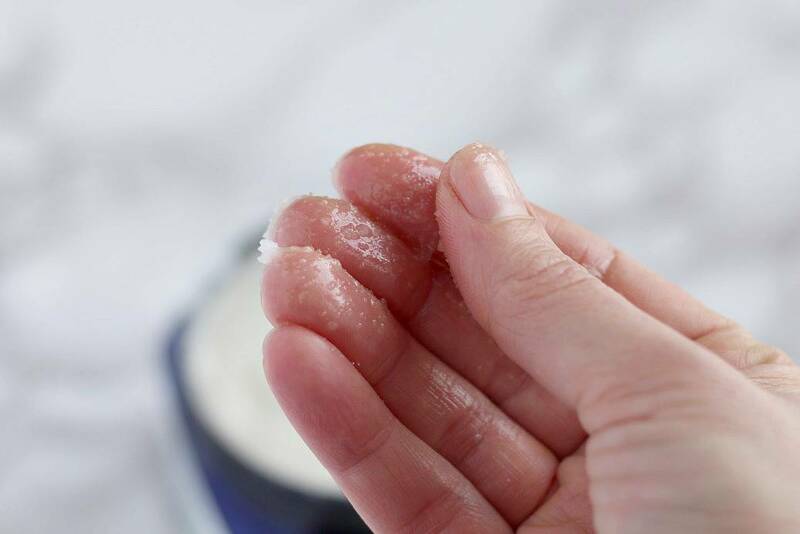 If you have any questions regarding this Oliën Body Sugar Scrub review, please leave a comment. Thank you!